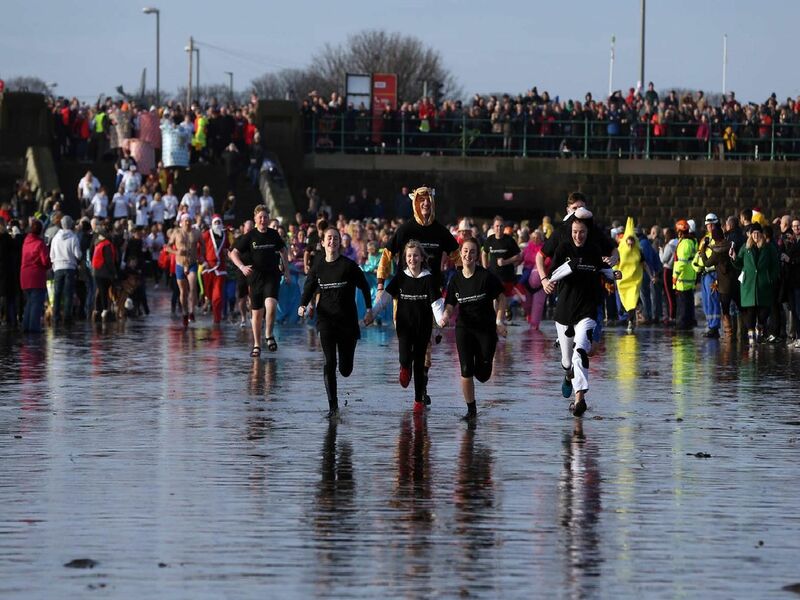 Hundreds of fundraisers braved the icy North Sea to take part in the 2018 Sunderland Boxing Day Dip. Our congratulations to everyone who took part in the Seaburn event. We hope you enjoy our photo gallery. Remember copies of all our pictures can be purchased here and you can read our full report here. 1. "We're in it together"
All hands to the pump at Seaburn this morning. Runners head across the Seaburn sands. Greens, yellows, blues and reds were all out in force today. Is that a Spice Girl in Sunderland six months early?